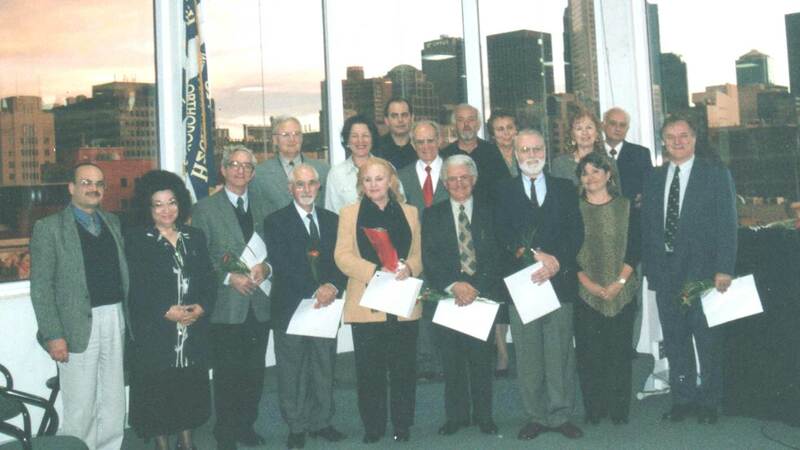 In order the objectives of the Greek-Australian Cultural League to be achieved and for the promotion of Greek- Australian literature, it was decided an annual literary competition to be organised, which was established since 1980. The literary competition covers the categories of poetry and short stories, and more recently included the One Act theatrical play too. The fact that entries are accepted in Greek or English, works as an incentive for participation by young members of the Diaspora, because they express themselves better in English. And it is important young people to be involved, because they gain confidence, leading to future literary evolution. An additional incentive for writers was, and still is, the publication of the first prize winning works from each category in the annual journal of the League “Antipodes”. • One entry per category. • All submissions should be the original works of the author and should not have been submitted to another competition or have been previously published. • Contributions for the competition can be submitted in either the Greek or English language and will be judged separately for each language. • Poems should not exceed 100 lines. Prose entries should not exceed 2000 words. The one-act play should not exceed 15 minutes duration. • For each entry, four copies of the work need to be submitted for consideration by the judges by post. These copies will not be returned. •For each work submitted, a pseudonym in place of the author’s name should be used. This needs to be the same pseudonym for all work submitted by the same person. The author’s full name and corresponding pseudonym, their address, telephone number and email, along with the title of the work/s should be placed in a separate sealed envelope with their entry/entries to ensure anonymity. Please complete the attached application with your submission/s. • The results of the literary competition will be announced at a special function incorporating the launch of the League’s annual, bilingual periodical “ANTIPODES”. All first prize winning works in each category of the competition shall be published in the periodical “ANTIPODES” which will be launched on the same day the awards are announced. All prize winners will be sent via post a commemorative certificate.